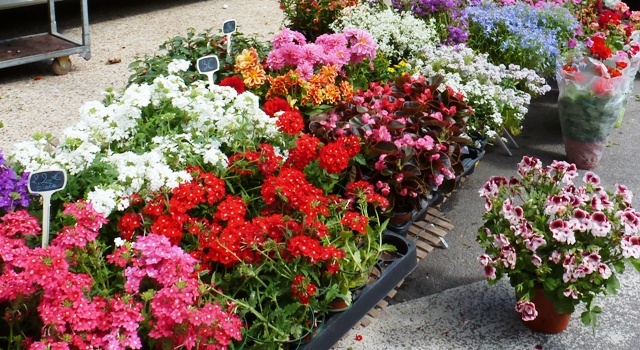 Throughout May and June France comes alive with weekend plant and flower markets. 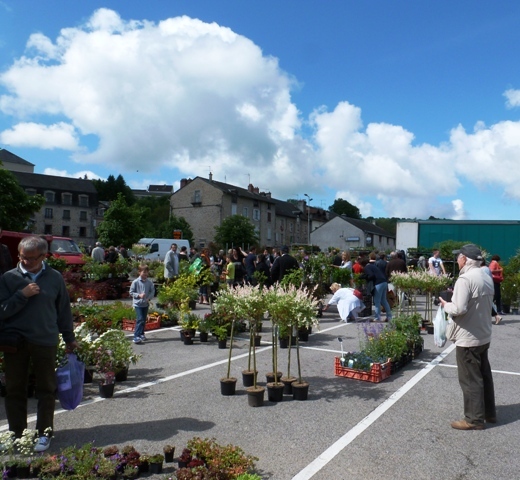 On the third Sunday in May, Eymoutiers in Haute-Vienne holds its annual flower market. 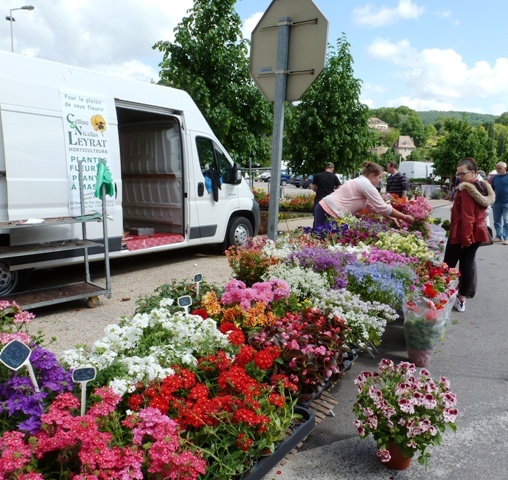 With the sun shining, and Eymoutiers only a 30 minute drive from our home, we set out to explore the flower market with the hope of buying a few flowers for my hanging baskets. 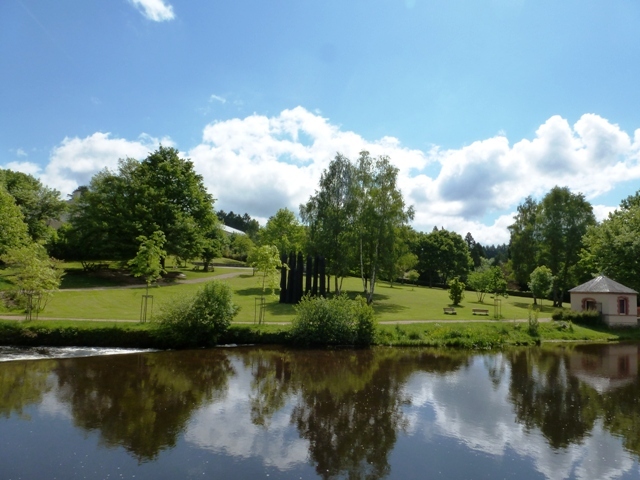 The town square was awash with colour and life; full of bright, vibrant bedding flowers, roses, shrubs and the gentle murmurs of the French discussing the weather and their choice of plants. The quality and array of flowers supplied by the local nurseries and growers was wonderful. Pink, red and yellow flowers all vied for the attention of the French, and it has to be said, quite a few English! Much to the chagrin of my husband and the amusement of the lady on the flower stall I chose to buy my plants from it took me forever to make my choice. These village flower markets are not only a great way to support local growers but also to visit small places you’d otherwise miss, perhaps casting it nothing more than a glance on your way through to a larger town. 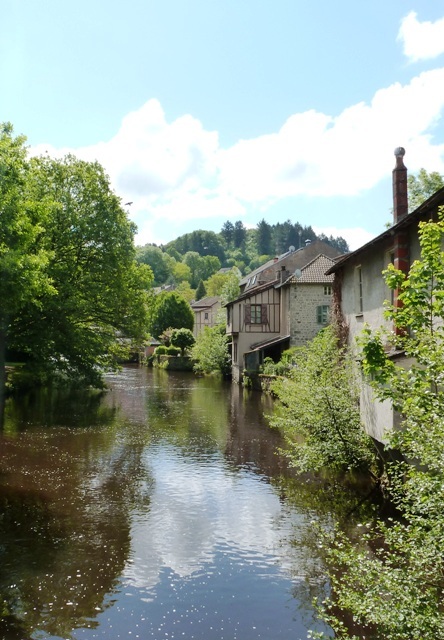 Eymoutiers was once a thriving centre for the tannery trade, with more than 20 tanneries located along the banks of the river Vienne which flows through its centre. The tanneries are long gone but the pretty town now bustles with bars, cafes and small artisan shops, all of which had their doors open this Sunday morning. To find a flower market near your area of France check out my events page each week. Happy shopping!